Migrants staying in Serbia are in a difficult situation and their integration into society should be enabled through education for minors and job opportunities for adults, a representative of the EU delegation to Serbia told EURACTIV.rs. Nicholas Bizel said that many of the migrants have been in Serbia – which was on the so-called Balkan migration route at the height of the migrant crisis – for more than a year or even longer. He added that their chances of entering the EU are very slim and unlikely. There are currently just over 4,000 migrants in Serbia, and in the first two months of 2018 more than 1,000 of them said they would seek asylum. “As an EU candidate country, Serbia is part of the European solution to migration, thus it is involved together with the EU member countries in finding a comprehensive solution for migrants and refugees,” he told EURACTIV.rs in an interview. The EU will continue to support Serbia in the further implementation of measures for the purpose of integrating migrant children through education, he added. Bizel said Serbia should not expect a greater influx of migrants in the coming period but is ready for that possibility. Bizel, the head of Sector I of operations at the EU Delegation, believes that the situation is stable, despite some unregulated migration still present, but urged the authorities to remain cautious because the stability could not be taken for granted. 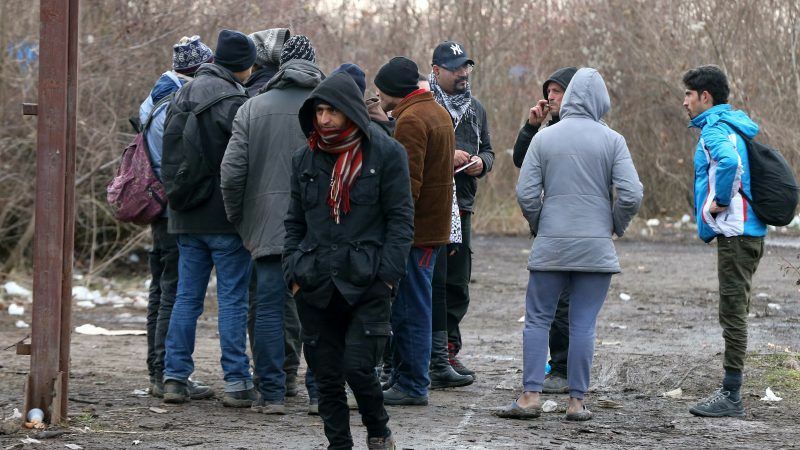 That is why it is important to be ready in the event of an increased number of migrants, Bizel said but added Serbia has room for 6,000 people in centres across the country and has encountered such situations before. “Serbia has already started implementing measures in the area of education. The majority of minors can go to school. There are EU-funded programs for the integration of children into schools, carried out with the support of organisations such as UNICEF. As for the integration of adults, the situation is a little more complicated, because employment is not so easy in Serbia, but the Serbian government is working on that and we expect some solutions in the future”, said Bizel. A recently published report by the Belgrade Center for Human Rights said that a serious, positive approach to including migrant children in the education system was achieved in 2017 but that the classes were in Serbian and could not really engage those children. The report also said there was a problem with enrolling refugees at colleges and universities because they were charged a foreigners’ tuition, but also with the issue of obtaining a personal work permit, which exceeded their financial capacity. 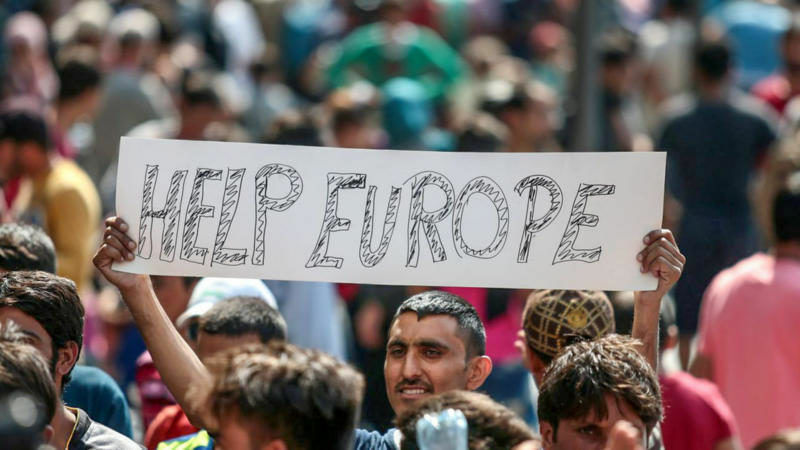 Bizel said the EU had since the start of the crisis in 2015 spent 80 million euros on supporting migrants in Serbia. It was primarily humanitarian aid in the form of food, clothing and short-term accommodation. The EU’s priorities in the future, added Bizel, will be to provide accommodation that would be more of a long-term solution. Regarding the lifting of travel visas for Iranian citizens and concerns that the move may lead to a greater influx of migrants from that country to Western Europe, Bizel said it was a problem that had to be solved. “That is certainly a problem we are looking into. There are now direct flights from Tehran to Belgrade. I must say that the Serbian government has agreed to have EU representatives present at the airport and observe the people coming in from Tehran, to see what their profile is, so to speak. But that is still a problem to which a solution must be found”, Bizel said. People who stay in Serbia for more than three months are no longer treated as tourists, but become illegal immigrants and must be treated according to the law, he said.